The Website is only intended for persons 18 years of age and older. Datafied does not knowingly collect personal information from children under 18. Datafied collects both Non-Personally-Identifying and Personally-Identifying Information from users. “Non–Personally–Identifying Information” is information that, without the aid of additional information, cannot be directly associated with a specific person or entity. “Personally–Identifying Information,” by contrast, is information such as a name or e-mail address that, without more, can be directly associated with a specific person or entity. Like most website operators, Datafied gathers from users of the Website Non-Personally-Identifying Information of the sort that Web browsers, depending on their settings, may make available. That information includes the user’s Internet Protocol (“IP”) address, operating system and browser type, and the locations of the Web pages the user views right before arriving at, while navigating and immediately after leaving the Website. A “Web Cookie” is a string of information that a website stores on a user’s computer, and that the user’s browser provides to the website each time the user submits a query to the site. Datafied uses Web Cookies to track the pages that users visit during each Website session, both to help Datafied improve users’ experiences and to help Datafied understand how the Website is being used. A “Web Beacon” is an object that is embedded in a web page that is usually invisible to the user and allows website operators to check whether a user has viewed a particular web page. Datafied may use Web Beacons on the Website to count users who have visited particular pages and to deliver co-branded services. Web Beacons are not used to access users’ Personally-Identifying Information; they are a technique Datafied may use to compile aggregated statistics about Website usage. Web Beacons collect only a limited set of information including a cookie number, time and date of a page view, and a description of the page on which the Web Beacon resides. Datafied analyzes Non–Personally–Identifying Information gathered from users of the Website to help Datafied better understand how the Website is being used. By identifying patterns and trends in usage, Datafied is able to better design the Website to improve users’ experiences, both in terms of content and ease of use. From time to time, Datafied may also release the Non–Personally–Identifying Information gathered from Website users in the aggregate, such as by publishing a report on trends in the usage of the Website. Much of the Personally–Identifying Information collected by Datafied about users is information provided by users themselves at the time they register with the Website. Users of the Website are under no obligation to provide Datafied with Personally–Identifying Information of any kind, with the caveat that a user’s refusal to do so may prevent the user from using certain Website features.  BY REGISTERING WITH THE WEBSITE, YOU CONSENT TO THE USE AND DISCLOSURE OF YOUR PERSONALLY–IDENTIFYING INFORMATION AS DESCRIBED IN THIS “COLLECTION, USE AND DISCLOSURE OF PERSONALLY–IDENTIFYING INFORMATION” SECTION. You may post Personally-Identifying Information on areas of the Website that may be viewed by other users or the public, although we recommend that you do not do so. We urge you to use good judgment and not post Personally-Identifying Information that you do not want other users to know. USERS ASSUME ALL RESPONSIBILITY FOR ANY LOSS OF PRIVACY OR OTHER HARM RESULTING FROM THEIR VOLUNTARY DISCLOSURE OF PERSONALLY-IDENTIFYING INFORMATION. By submitting a Copyright Infringement Notification or other communication (including communications about content stored on or transmitted through the Website) you consent to have such communication forwarded to the person or entity who stored or transmitted the content addressed by your communication, in order to facilitate a prompt resolution. For Notices of Violations of Website Terms of Service or other communications (but not DMCA Infringement Notifications), upon request Datafied will edit out your name and contact information. However, DMCA Infringement Notifications (including any personally identifiable information set forth in the Notifications) will be forwarded as submitted to Datafied without any deletions. 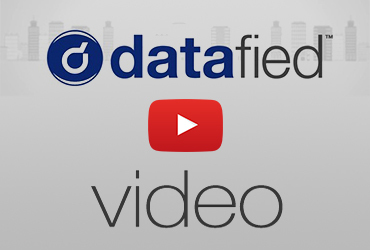 Datafied will disclose Personally–Identifying Information to those Datafied employees, contractors, affiliates, vendors and suppliers who process Personally–Identifying Information on Datafied’s behalf or participate with Datafied in the provision or operation of the Website. Datafied discloses Personally-Identifying Information if: (1) required to do so by law, or in response to a subpoena or court order; (2) Datafied believes in its sole discretion that disclosure is reasonably necessary to protect against fraud, to protect the property or other rights of Datafied, other users, third parties or the public at large; and (3) Datafied believes that you have abused the service by using it to attach other systems or to gain unauthorized access to any other system, to engage in spamming or otherwise to violate applicable laws.  In the event of a security breach, we will notify you at the most current email address that you have provided to us. It is therefore extremely important that you update us if you change email addresses and that you make sure that we consistently have the most current email address for you on file. Any security breach notice will be sent to you in the most expedient time possible following our discovery or notice of a security breach, and without unreasonable delay, subject to any determination by a law enforcement agency that notice would impede a criminal investigation, in which case the notice will be sent once the agency determines that notice will not compromise the investigation. If you would prefer to receive a security breach notice by U.S. mail, advise us of that fact by writing us at: 1210 N. Jefferson Street Suite P Attn: Information Security Policy Enforcement. This policy is effective as of and was last updated on October 30, 2009.